Your digital reputation does not exist alone on an island. But if you ignore it, your dealership might as well. It might be easy to think that what is said online won’t impact your real-life bottom line. But smart dealers know that reputation management connects with every other piece of their strategy to catch and keep customers. Each customer’s opinion matters to the next customer. And every single interaction – positive or negative, inside or outside your dealership – influences their experience. On surveys that measure customer satisfaction on a scale of 5, allowing that score to fall by one point is equivalent to a loss of $4.2 million annual revenue for the average dealer. Your customers need to feel like you know them, hear them, and are in business to serve them. That’s why CRM tools and CSI scores exist – because good experiences bring repeat business. The best customer experience happens when you consistently deliver on every promise in every area of your dealership. Consistency at that level can only be achieved when your systems and services are built and designed together. Details of every interaction, including screenshots of emails delivered. Status of negative feedback escalation and required follow-up. Customer information, including complete history and next appointment. Nothing falls through the cracks, because there are no cracks to fall through. Big-picture AND laser-focused, linking your services is the way to see a truly complete customer story. You’ll always know how they feel, what to say, and how to best deliver the message. 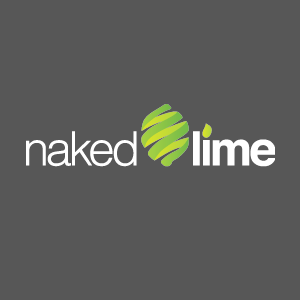 To see how it works, call 855.NKD.LIME or email info@nakedlime.com. Don't banish your reputation to the island now and we won't have to help rescue it later.